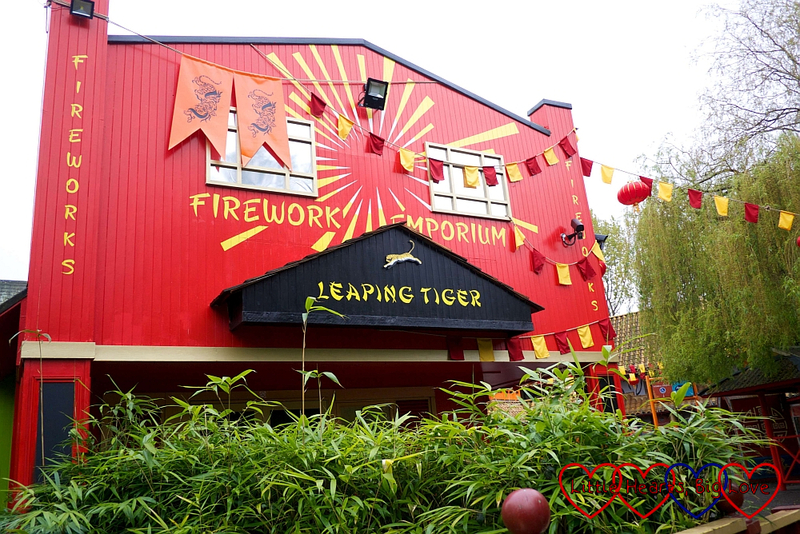 This weekend (5th May) will see the opening of a new attraction at Chessington World of Adventures – Land of the Tiger which features the new Tiger Rock ride. 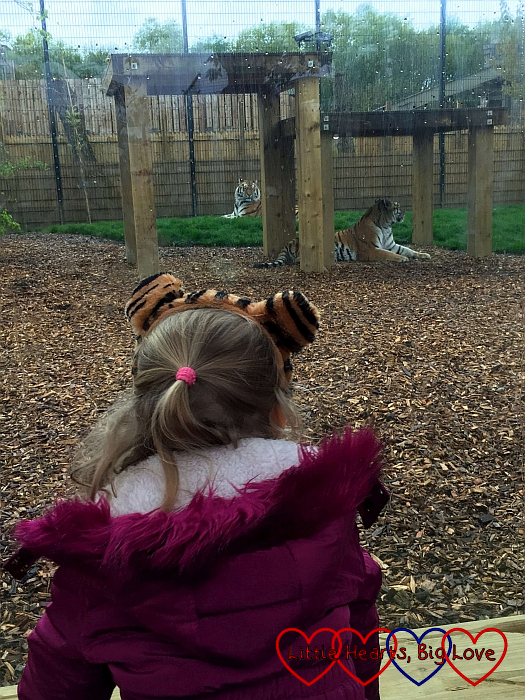 We were lucky enough to be invited to Chessington last weekend to see this new area and to be one of the first to take a ride on Tiger Rock as well as enjoying a sleepover at the Safari hotel. Our room for the night was a zebra-themed room which Sophie loved. 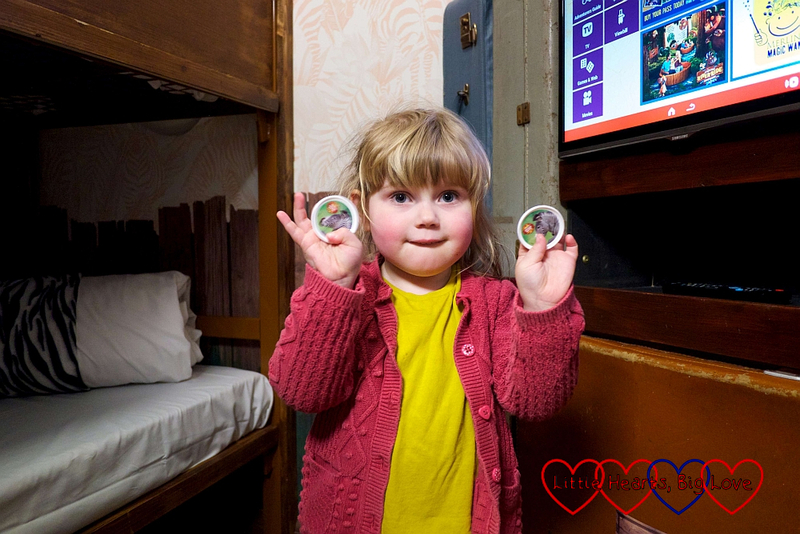 She enjoyed solving the clues for the lock on the safe and collecting the two zebra-themed pop badges hidden inside. 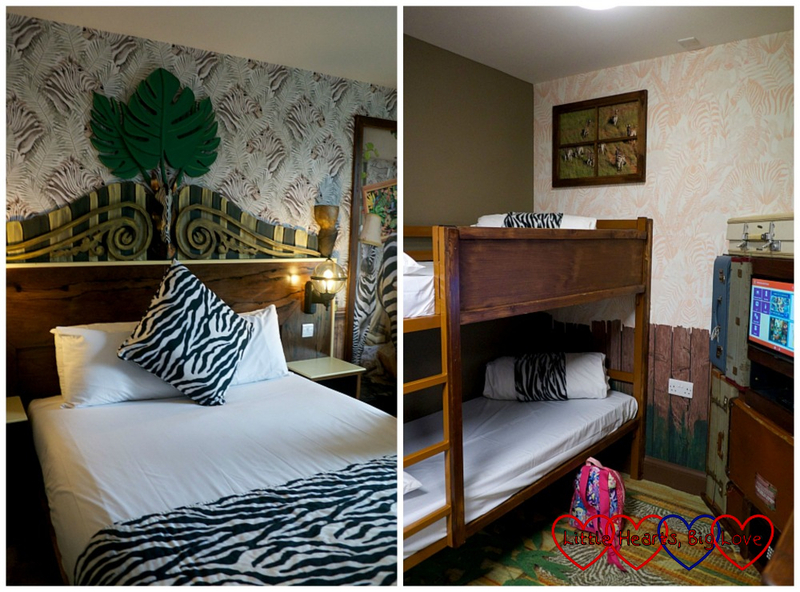 The children’s sleeping area has its own TV with a selection of games and internet access available on it. Sophie and Daddy had fun playing games together before we headed down to the meeting point outside the Temple restaurant ready to be escorted to the Wild Asia area. 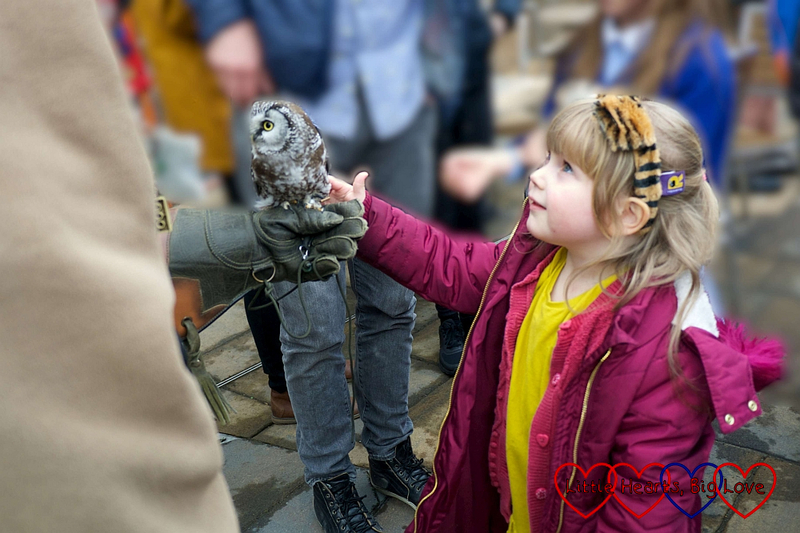 While we were waiting, Sophie enjoyed meeting a couple of the owls from Chessington zoo and being able to stroke one of them. 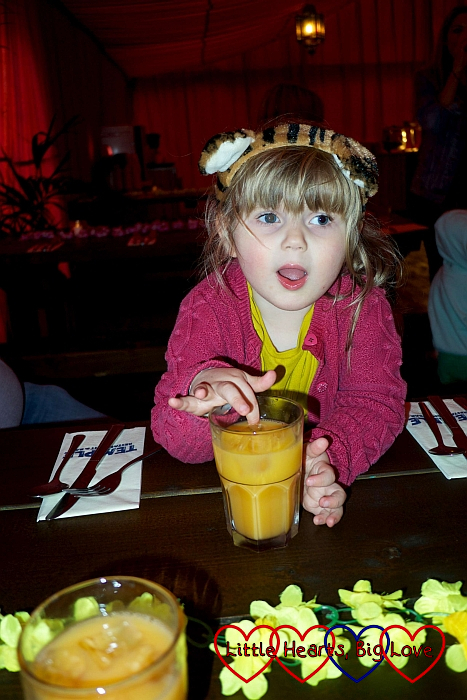 Over at Wild Asia, we enjoyed cocktails in the Explorer’s Outpost restaurant and exclusive access to the rides. Sophie is still a little too small for most of the rides in this area. She loves the Jungle Bus and the Tuk Tuk Turmoil though. She and hubby had lots of fun bumping in to the other cars on the Tuk Tuk Turmoil ride. It was lovely to be able to enjoy the rides without the queues! We were then escorted over to visit the new Land of the Tiger area for the first time. I love the way that the area has been redesigned around the tiger enclosure. 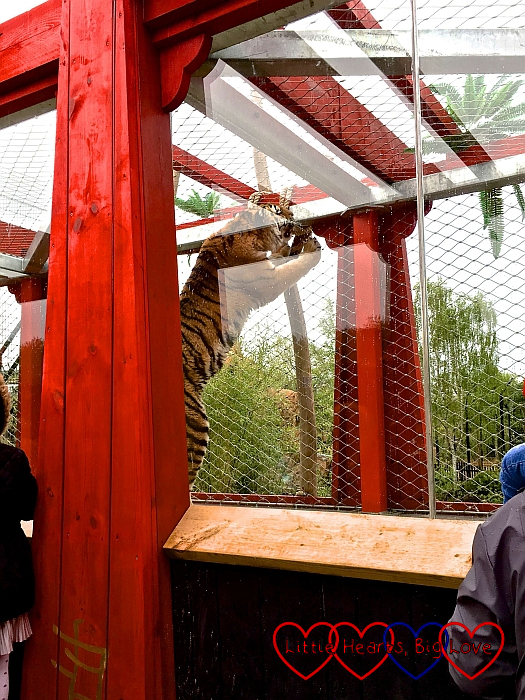 The enclosure houses four endangered Amur tigers called Kyra, Kalinka, Olga and Tsar. 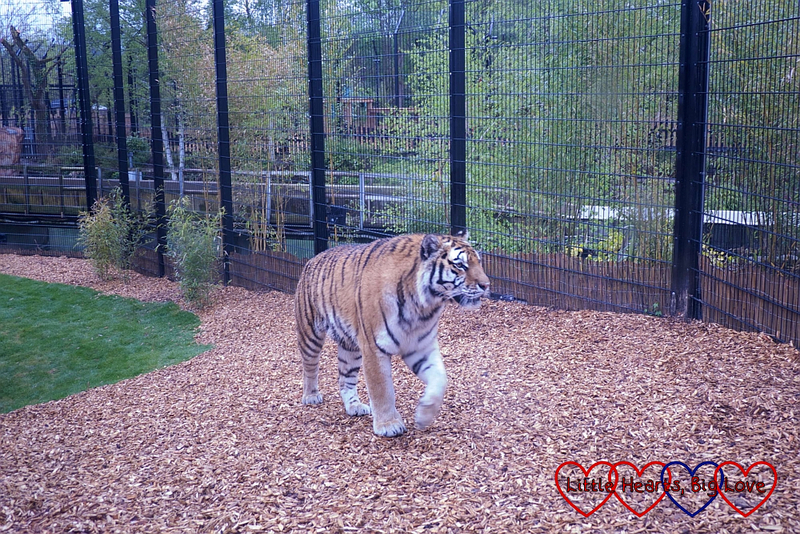 It was amazing to be able to get such close views of the tigers as they roamed through their huge enclosure area and across the overhead walkways connecting different parts of their enclosure, which is the first of its kind in Europe. The zoo keepers were on hand to tell us more about each tiger and we watched them being fed. Seeing one of the tigers reaching up inside one of the walkways to play with some rope made me realise just how huge these big cats are. It was an amazing sight. 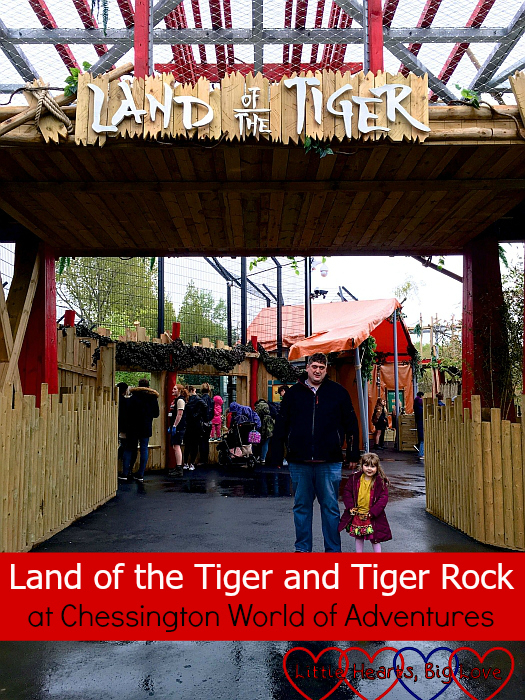 We had to wait until the next morning though before we could try the new Tiger Rock ride. 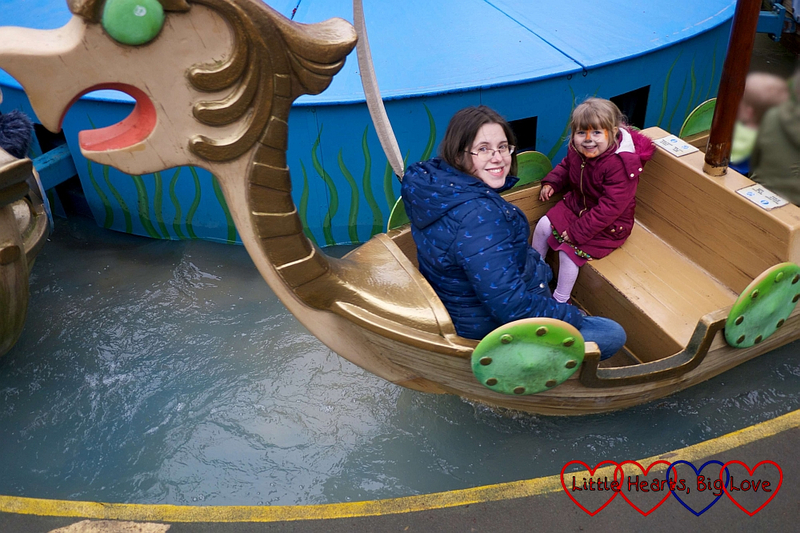 The ride has a height restriction of 1.2m which meant Sophie was too small to go on. 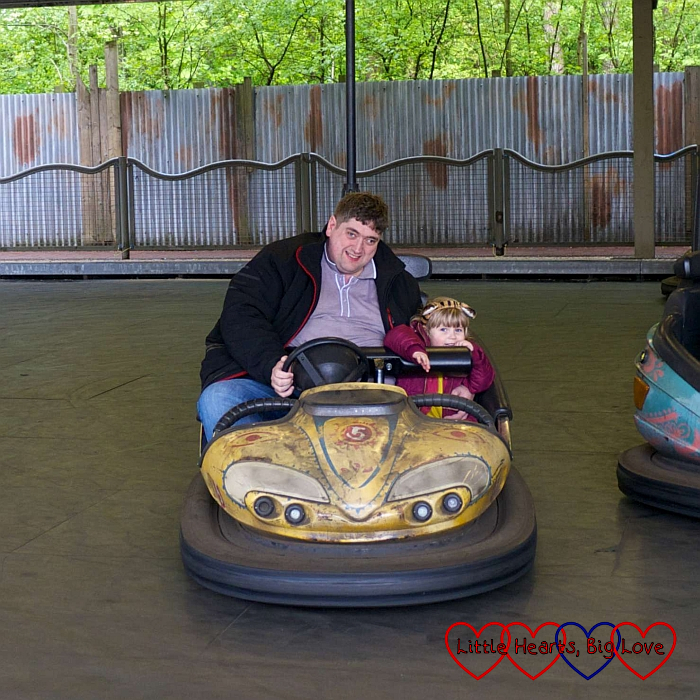 Hubby enjoyed being able to go on the ride though, teaming up with the lovely Natalie from Confessions of a Crummy Mummy for the trip along the waterway. 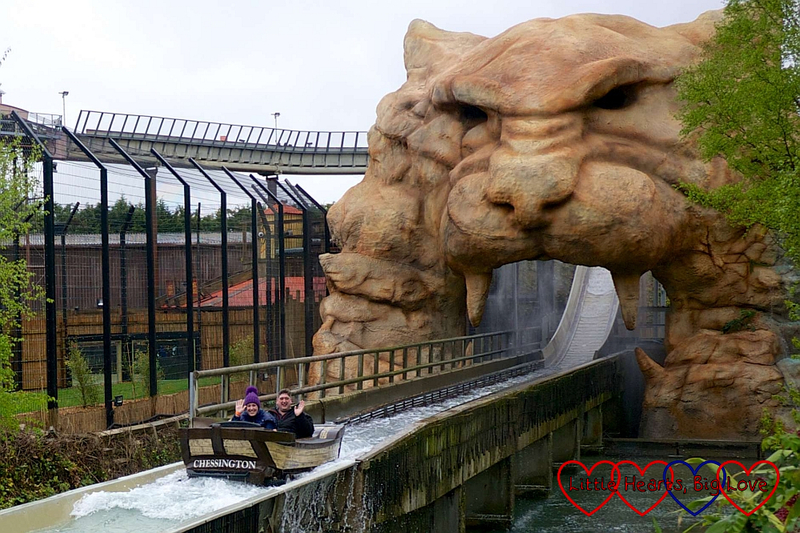 The boat ride is reasonably fast paced with views of the tiger enclosure along the way, travelling through tunnels and down a small drop before reaching the 15m misty waterfall drop through the centre of the carved tiger head. After coming off the ride, we all enjoyed some doughnuts and churros. 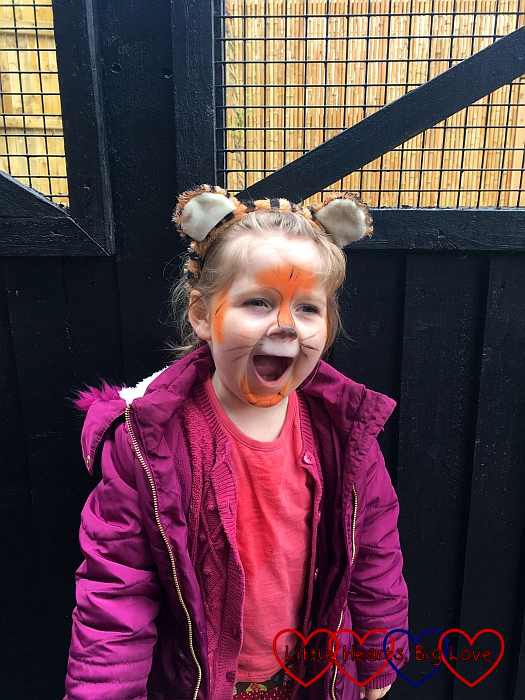 Sophie loved having her face painted like a tiger. We then spent some more time looking around the Land of the Tiger area and watching the tigers again before leaving to enjoy the rest of the theme park. As always, the Gruffalo River Ride Adventure was our first stop. We were lucky enough to have some fast track passes for this, along with Toadie’s Crazy Cars and the Flying Jumbos ride. 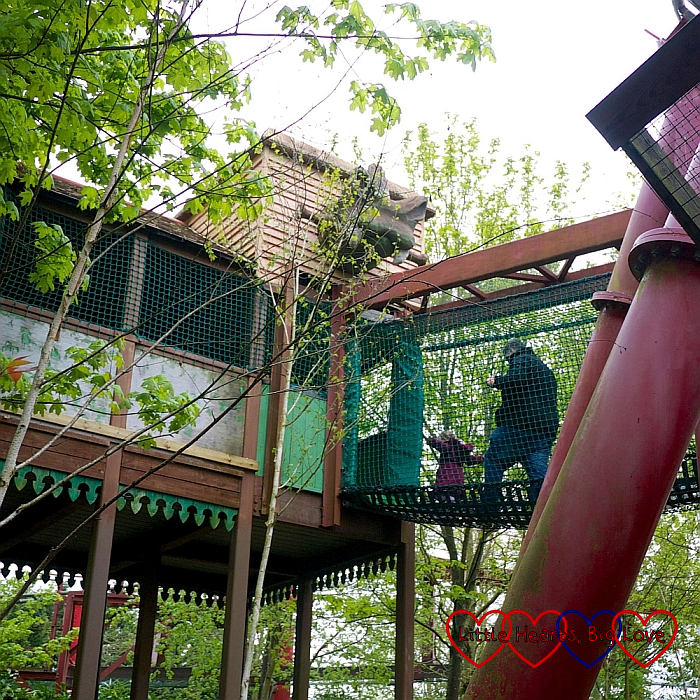 Sophie and Daddy also had fun exploring the overhead net walkways in Canopy Capers. I was quite content just to keep my feet on the ground and watch them! I did enjoy a gentle boat ride on the nearby Sea Dragons though. The Adventure Tree carousel is always a firm favourite. 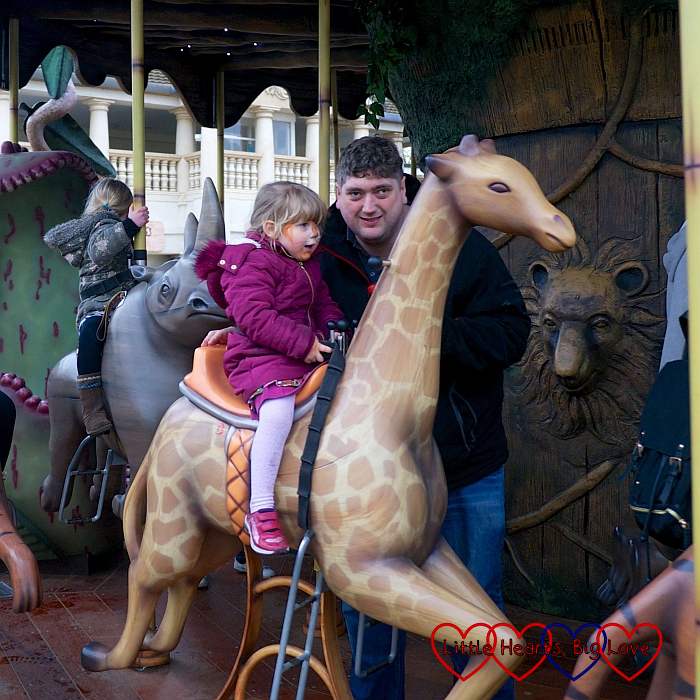 Sophie particularly likes the giraffes on this ride. She was slightly disappointed this time to have picked a rocking giraffe rather than one which moved up and down though. We finished off our day with a visit to the SEA LIFE centre. 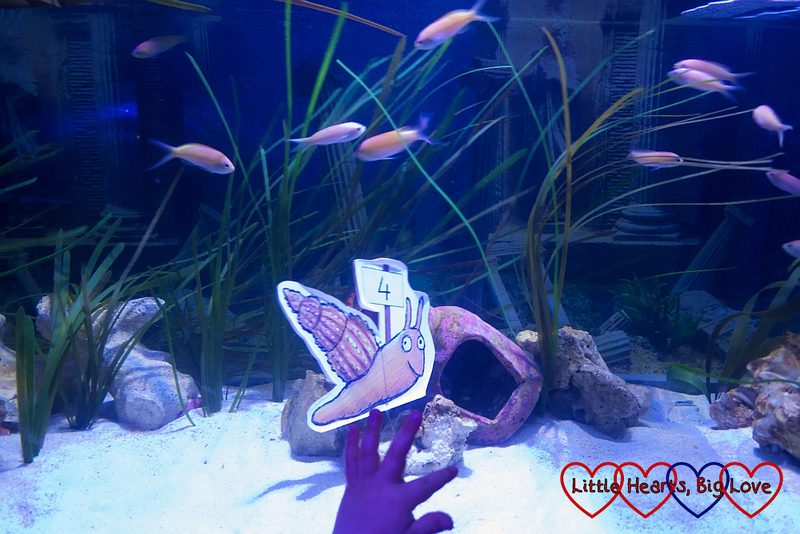 Sophie had fun looking out for the eight snails hidden around the tanks on the Snail and the Whale trail. Having the snails numbered helped. We missed one and had to retrace our steps and look again a couple of times! 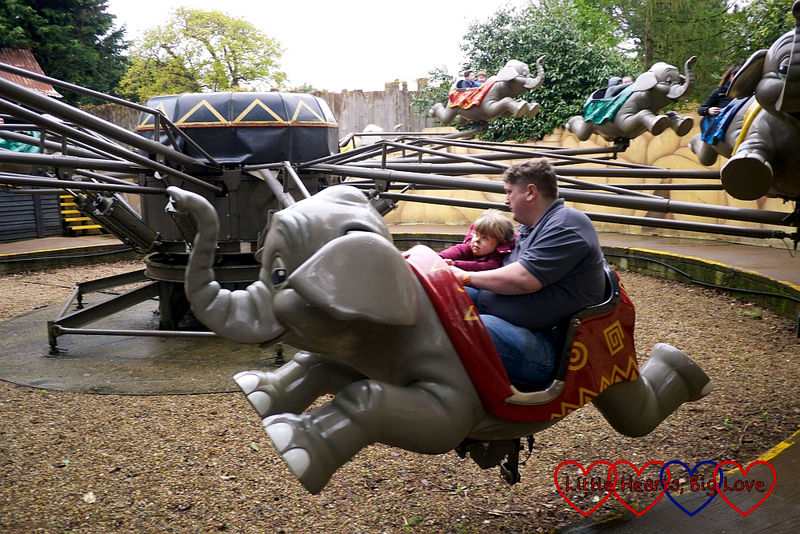 Overall, we had a lovely weekend at Chessington. Sophie certainly enjoyed herself very much. 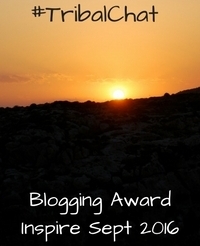 Hubby and I both found it hard at times to be back though. 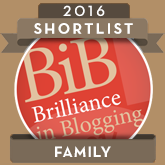 We have enjoyed so many family days out there over the last year. There were memories of Jessica everywhere we went. She had enjoyed her last day out there with her cousins just a couple of weeks earlier. I know that she would have absolutely loved seeing the tigers at the Land of the Tiger. She would have been quite disappointed at not being tall enough for the Tiger Rock ride though! 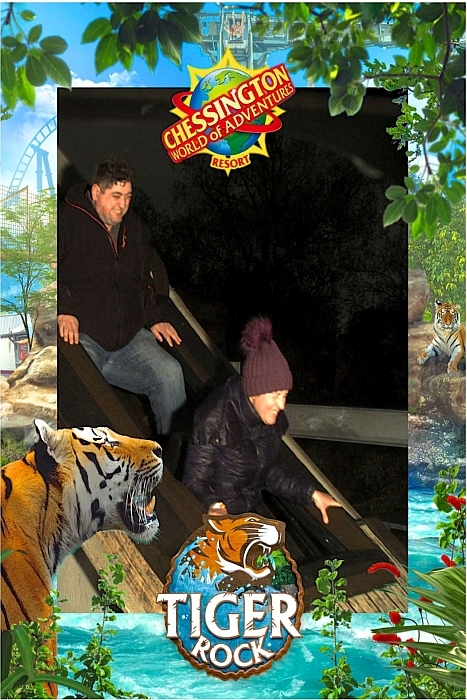 What a lovely return visit to Chessington, if a hard first to do without Jessica. 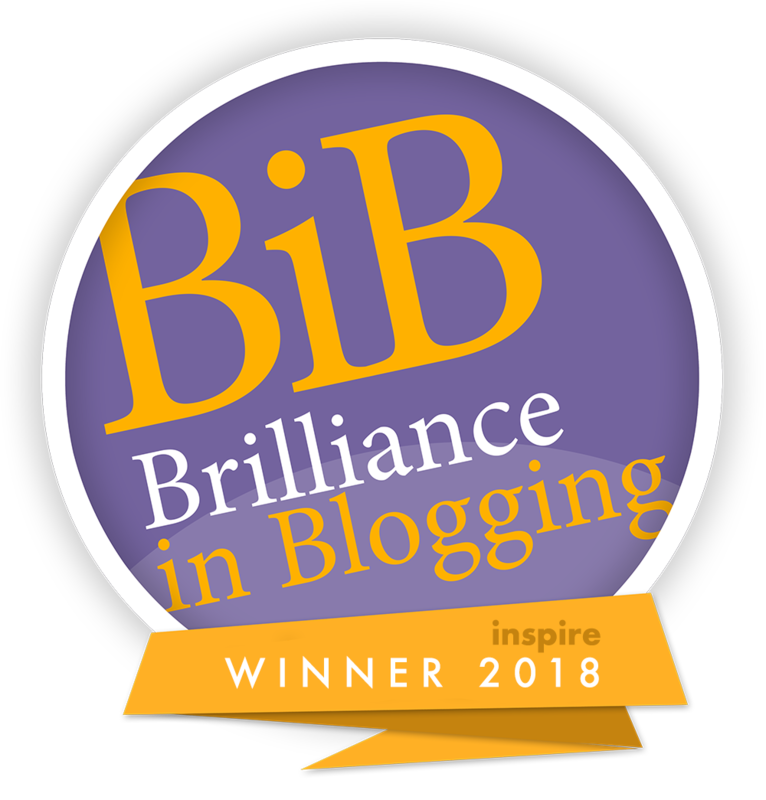 I’m sure having other bloggers around helped and the excitement of the new tiger area. I think my favourite photo might be Hubby and Natalie on the big ride, their faces are a picture – real grown up Country Kids! I love that there is something for everyone at Chesington and still so much for Sophie to grow into. Cute pictures! Loved the one where she meets the owlet. 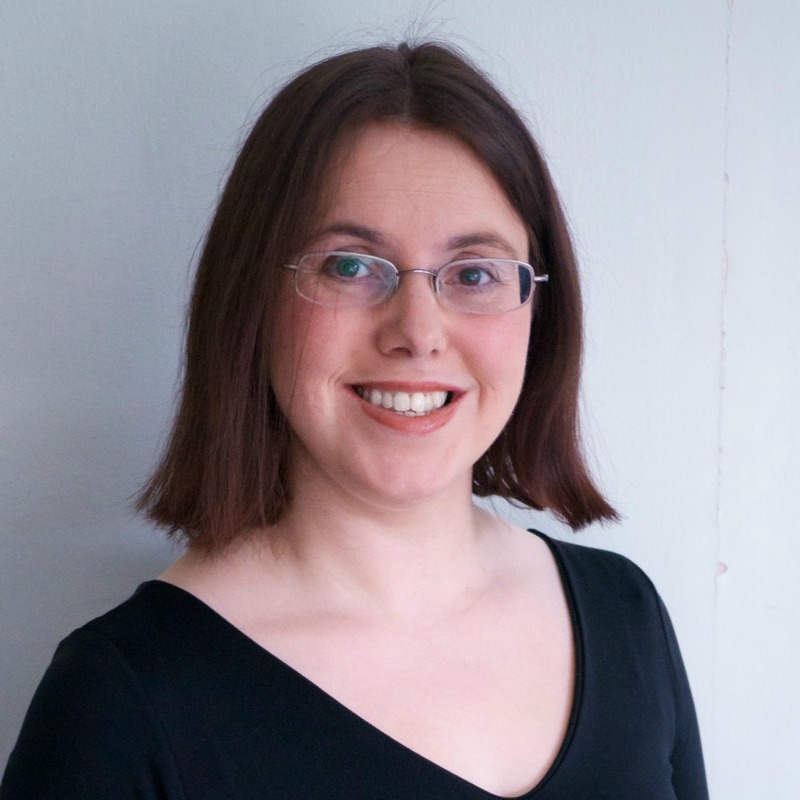 I feel so bitter sweet at your thoughts of Jessica – so lovely to go there and have all those happy reminders of her, but must be so hard knowing how she would have loved the ride. Having only lost a brother so young I think you are amazing the way you are keeping going and continuing to create such happy family memories.